Germany's second-largest airline Air Berlin hopes to resume flights to St. Petersburg after customer demand picks up again, Air Berlin Group Senior Vice President for Communications Aage Dunhaupt told Sputnik. MIAMI (Sputnik) — At present, Air Berlin conducts about 25 flights to Russia weekly, from Berlin and Dusseldorf. “Our next big step would be, if traffic is coming back, hopefully to fly to St. Petersburg again,” Dunhaupt said on Monday on the sidelines of the International Air Transport Association (IATA) annual meeting in Miami, Florida. He explained the airline had to close the St. Petersburg-Berlin route because of low passenger demand, which is caused by the current economic situation in Russia. “We see a decline in passenger demand, meaning we have less passengers from Russia travelling, and also have less passengers from Germany or connecting countries travelling to Russia,” Dunhaupt noted. 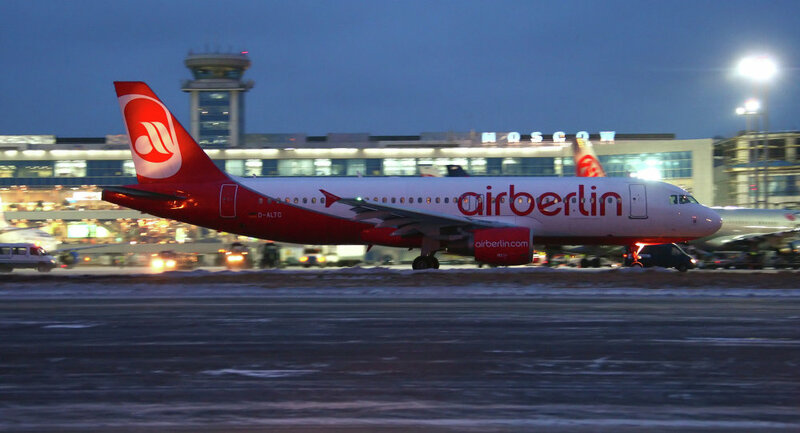 Air Berlin is not planning to add any new routes in Russia and its neighboring countries, he added, including Ukraine. Dunhaupt emphasized Western sanctions against Russia have affected Air Berlin financially. “We have lower revenues in Russia, which also means less earnings in Russia. We have a financial impact,” he stated.